This is the sort of recipe that takes away all the end of summer blues, at least temporarily. I recently discovered that I can make chia seed jam without the need for any sweetener at all. A natural, no added sugar jam recipe? Yes, it’s totally possible! My little secret? Apples. They are perfectly sweet enough. Unlike berries which can be tart, apples really don’t need anything extra. If you’ve had my other chia seed jam recipes (see my Magical Blueberry Vanilla Chia Seed Jam and Strawberry Chia Seed Jam), you may know by now that this isn’t your grandma’s jam. Not even by a long shot. It’s always worth repeating this because I always get a comment about it not being an authentic or traditional jam recipe. You would be correct. Sometimes we just have to break the rules! Apple peel is the new party streamer. Much like my other chia seed jam recipes, you cook down the fruit along with chia seeds and any desired spices. Instead of using maple syrup to sweeten, I took a note from my Homemade Pumpkin Butter recipe and used 100% apple juice. It worked like a charm. I made a fairly small batch just to see how it would turn out, but next time I would probably double the recipe because it disappeared quickly! And by disappeared quickly I mean that I ate the whole batch in less than 12 hours. Can you blame me? 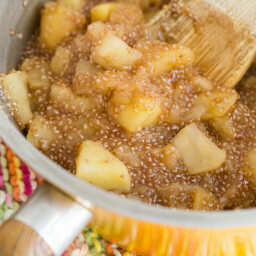 After about 15-20 minutes of cooking down the apples, they will be nice and soft and the mixture will have thickened up thanks to the chia seeds. I took a potato masher and mashed about 50% of the apple mixture to get a nice, thick consistency. You can mash all of it if you want, but I liked leaving lots of apple chunks for texture. Next came the building blocks of breakfast – or more specifically, Vegan Overnight Oats. Then, this parfait happened. It was quite possibly the greatest breakfast moment in a very long time. This nontraditional jam is thickened with omega-3 fatty acid rich chia seeds and is free from added sugar. 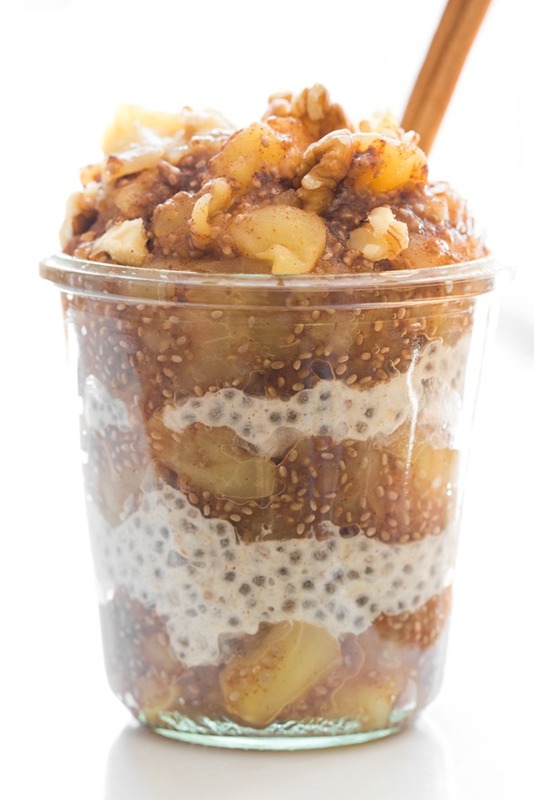 Enjoy it on toast, layered in parfaits, or on top of oatmeal. For the jam: Add all jam ingredients into a medium pot and stir to combine. Bring mixture to a low boil. Reduce heat to medium-low, cover, and simmer for 15-20 minutes, stirring every 5 minutes or so. 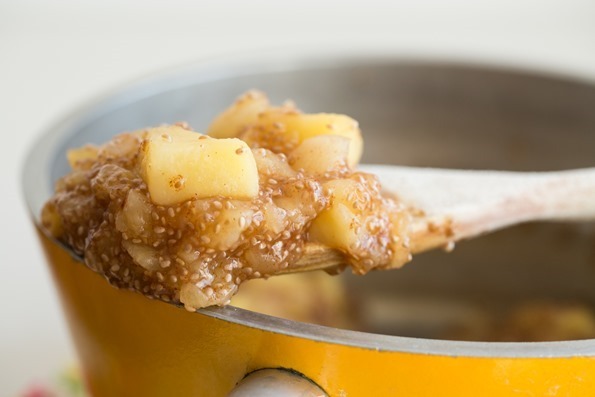 When the apples are fork tender, remove from heat and mash 50% of the mixture to thicken. Set aside to cool. For the vegan overnight oats: Combine the oats, chia seeds, almond milk, vanilla, and cinnamon in a small bowl. Whisk to combine. Place in the fridge overnight, or for at least 1-2 hours to thicken. Once the oats are softened and the liquid is mostly absorbed, it's ready. 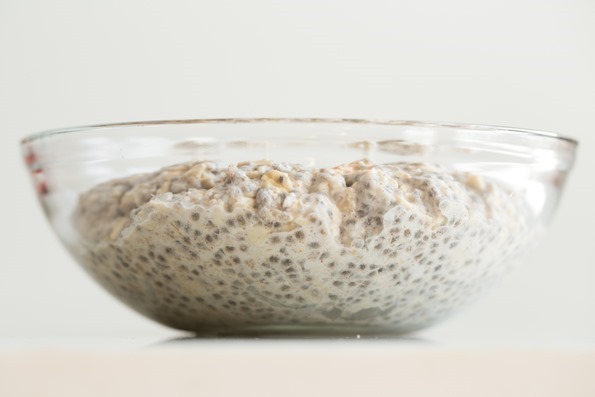 You can thin it out with more milk if needed or thicken it with more chia seeds. To make each parfait: Layer the vegan overnight oats with the apple pie jam, a few spoonfuls of each per layer. Add toasted chopped walnuts on top of each layer if desired. Store leftover jam in an air-tight container or jar in the fridge. Should last for at least 1-2 weeks. Note: For a homemade milk option, see my Homemade Vanilla Almond Milk Recipe. Wow this looks so yummy! I love chia seeds, and this is such a creative way to eat them! Thanks for sharing! What a beautiful breakfast-or snack…I could have it for both! I have some peaches I need to use so this gives me a great idea..thanks! This parfait looks amazing! Although it is hard to have end of summer blues, when it is 90 degrees here. I’m looking forward to some cooler weather. Oh my gosh, you are on A ROLL Ange!! This looks fantastic! This morning’s chillier temperature made me start thinking about fall (and shudder… brrrr!) but I’m definitely looking forward to pumpkin and lots of apples. You’ve reminded me that I really need to start eating more chia seeds. I think I’ll be making this on the weekend! That looks so great! I’ve been making raw chia jams but I’m going to have to try one of your recipes. I love that you didn’t have to add sweetener to this one. I’ve had to dump a lot of maple syrup in my chia jams to make them tasty. Can’t wait for more fall recipes! Fall clothes and pumpkin pie are the only things that make me somewhat ok with summer coming to an end. I hear you on the fall clothes…I keep asking myself if it’s too early to whip out my boots. hah. Ha, I finally got to put my boots AWAY a few weeks ago (hooray chilly SF summers), I’m hoping I can keep them in the closet and enjoy bare legs just a little while longer…. 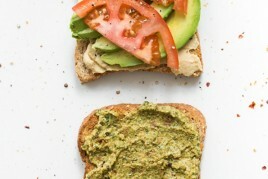 This recipes looks yum, I really have to get some chia seeds soon! Gorgeous! I’m a chia seed nut! Costing me a fortune but so worth it! Our Costco is now selling chia seeds. If you have a Costco near you, check it out. If they aren’t carrying them, you can request that they do. This is the PERFECT fall breakfast (or snack or dessert!). I love how apples are sweet enough to preclude the need for added sugar! Is it coincidence I have 3 extra apples this week? Oh I think not! I know my culinary project for tomorrow! Oh man I cannot wait until apples get in season here.. The weather is still pretty warm but that is normal for AZ; this is the best non kept secret! I cannot wait to try! Oh the amazing wonders of the chia seed! What a wonderful, pure, and simple recipe! Beautiful! Is it possible to can this? It’s apple canning season and I wasn’t sure if the chia seeds would work in canning or if they would spoil. Does anyone know? Holy deliciousness! I love chia jam. This year a lot of blackberries were growing all over the neighborhood and I made chia blackberry jam a few times, but I never thought of using it in a parfait. Amazing! Will definitely make this breakfast soon. Thanks Angela! Oh man! I have everything but the apple juice and almond milk. Need to make this stat! amazing, angela! i definitely must try this! Wow, this is so creative! Apple jam is such a great idea and totally guilt-free without the addition of sweeteners. That definitely looks like a stellar breakfast. What a great recipe for using up all those apples my friends with apple trees will be forcing on me soon! I too have a big jar of chia seeds to use up. Must make this happen! I love your VOO! Do you think the flavor of this dish would be compromised if I added buckwheat groats to the VOO? 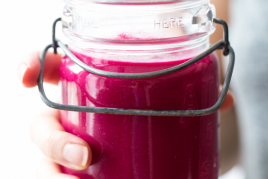 I love a recipe for VOO you made with them a while back…wanting to use it in this recipe too! This is a perfect, healthy fall sweet! Love it! This looks deelish!! I think the sugar-free title might be a little misleading, though? The lack of added sugar doesnt remove the sugar from the apples or apple juice. Not meant to be a nasty-gram, just a thought! I just made a bit of berry chia jam this morning using thawed from frozen berries, a bit of pure maple syrup and chia seeds. I love how well they naturally thicken it up! It was a dream over pancakes. Totally trying this next! Yummy! I can’t wait to try this. Thank you for keeping my family healthy. I always come to your site knowing I will produce a tried and true recipe I could serve to non-vegans (and still receive accolades/requests for the recipe). I have gladly sent dozens of friends and family to your site and hope they will consider a more healthy diet. I also love your emphasis on vegetables this month. Trying to do the same myself. So thrilled. I love that you are posting nearly everyday! I was just thinking about how to make an apple jam inspired by your berry recipes! What type of apples did you use? Oh yum! My mom and I have been getting into chia seeds recently, so this is a lovely little recipe to mix things up a bit. And we love apples! Ya know how sometimes you might comment on a recipe saying it looks good and you’d love to try it. Well…I not only want to try this, I’m literally making this for breakfast tomorrow. I can’t WAIT. I love apples. Love them. I love there’s no added sugar and you’re using chia seeds to thicken the jam. Awesome. I’m so excited! Never thought of making apple jam, but this seems simple enough for even me to pull off! It would be amazing over GF waffles! I think that apple jam would be a killer pancake topping! This looks unbelievable and I love that you didn’t add any sweetener to the jam. I know I would slather that jam on any and everything. Holy yum!!!! I cannot get over how delicious that looks! 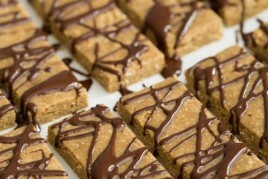 Cannot wait to make!!! Thanks Angela!!! would it be better? 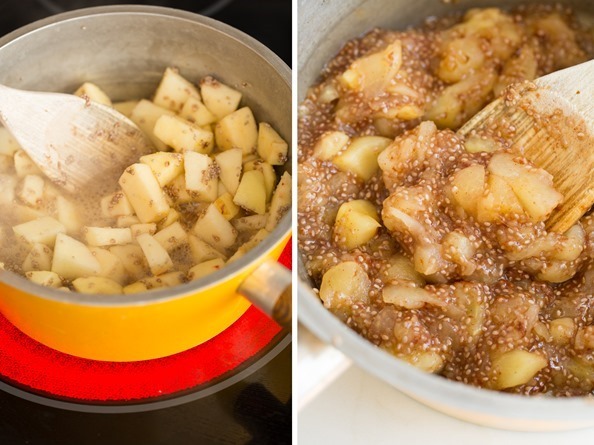 to cook the apples down and then add chia to thicken….to keep in tact the chia from heat? just a thought..would it work the same…. wanna try this, looks yum! I am loving that you are doing Vegan MoFo because it means you’re posting more often! I hope posting this much isn’t stressing you out too much though :-) Like you said, do what you can do. Keep the recipes coming and more importantly can’t wait for the cookbook release!!! such a great recipe to send us into Fall with! I seriously think your recipes could convert even the most dedicated meat-eater into a loving vegan! Thank you so much for sharing your creations with us, you have helped me in so many ways. My transition into vegan-ism has been not only delicious, but inspiring and wonderful to boot!!! Thank you Baylie, so happy to hear this! This looks amazing! I can’t wait to try it. Do you think it would work with a different one of your chia seed jam recipes? I’m not super crazy about cooked apples. This looks super delicious. Chia jam rocks. This looks delicious! Wondering if this could be made in a crock-pot? 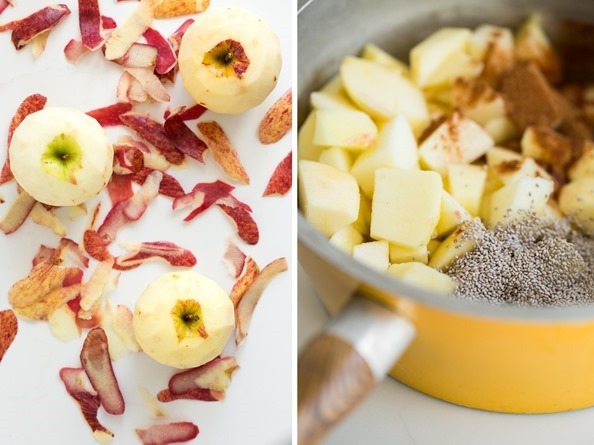 This sounds amazing; and just in time for apple season! This looks amazing. I am leaving .right.now. to go get some chia seeds and apples! I adore homemade applesauce, so I imagine this is kind of similar. But I love that it has chia seeds for some extra nutrients. I’m kind of sad that berry season is over, but it’s recipes like this that make me super excited for fall! So glad you enjoyed it Becca! This jam is genius! And I love the combination of flavors in the parfait. I’m going to have to make this for breakfast tomorrow, or at least for lunch! This is definitely a recipe to ring in the new season! I made this for breakfast this morning, and it is sooo good! I feel like I’m eating a dessert, I can’t believe there is no added sugar. Thanks for the recipe! I have some apple juice in the fridge… maybe I’ll give this a whirl! I bet my daughter would really like this. Thanks for sharing and I hope MOFO is as fun for you as it is for us readers!!! 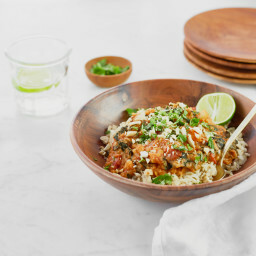 loving all your recipes…you are rocking the vegan mofo! Drooling and definitely making this tonight so a delicious VOO parfait can be devoured in the morning! I am so excited to try this recipe! I used one of your photos and linked to you for my MoFo round-up day, I hope you don’t mind. Chia seeds are the best! I am always amazed to see the new ways that bloggers are using them. Overnight oats are a go-to breakfast for me, so I love this recipe as a new way to spice up the classic dish. have you tried it leaving the peel/fiber on the apple? Lower glycemic? No, I haven’t tried it with the peel left on yet. Do you think this will still work if I kept left the apple skin on? I placed an order for chia seeds and can’t wait to begin using these recipes. AWESOME breakfast choice!! I don’t have apple juice! Do you have any suggestions for substitutes? What brand of Chia Seeds do you like the most? Thanks – I am hooked on your blog!! I usually just buy in bulk :) Thanks for your kind words! I really need to get on the chia seed jam bandwagon!! This looks amazing! And it would be great to make the night before for a quick and easy breakfast! Angela. Besides your recipes which are always delicious . I just love love your delightful happy personality and your generous heart. Sure wish you were my grandaughter! Well you are just so sweet Susan – you can be my blog grandmother if you’d like! hah. Hi Anglea! Did you serve the parfait warm or cold? QUESTION: Would this work with pears? I have an ABUNDANCE– would you make any changes to accommodate the difference? I just tried it today actually! Worked quite well. I think Im partial to the apple version, but it was very good too :) I did peel the pears as well. Dear Angela, I just finished to eat this breakfast and I have to tell you that is delicious! Girl, you are amazing, I don’t know how you do it, you are my cooking guru! Wow, that looks incredible. I love doing layered breakfasts and that chia seed jam looks delicious. I know what’s going in my next breakfast! I shared this with my twin toddlers–well, I put the apple jam on their waffles and they just kept licking it off, so I simply put it in a cup and handed them spoons! Big hit! This is dangerous stuff. I had a taste, and ended up nearly finishing an entire 8-ounce jar. And then I consoled myself by telling myself that chia seeds are a good source of fiber, and that the sugar found in this “jam” is all natural. 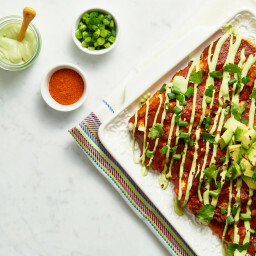 Great recipe, I think this is the turning point of turning me into a vegan. Would it make it bad if I processed the skins in the processor and added it to the apple mix before cooking? I made this jam with the last of my summer peaches instead of apples. It turned out great! I plan on enjoying it with one of your almond butter recipes on some homemade oatmeal bread tomorrow for breakfast. Yum!! Chia seeds are my new favorite! 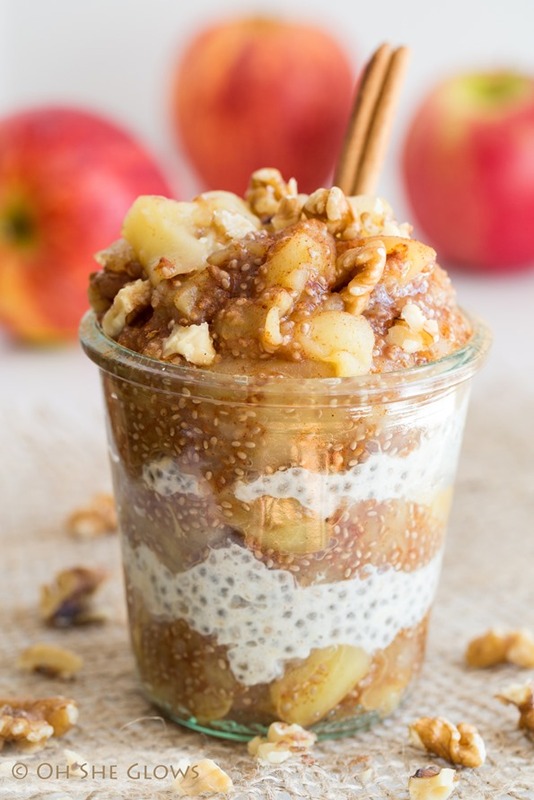 Angela, Your apple pie chia seed jam and breakfast parfait sounds absolutely divine! I adore chia seeds and I’m always looking for ways to use them in recipes. I will be making your recipe next week after a visit to the farmer’s market for some local, organic apples. YUM! I made this and ate it for lunch for a few days- AWESOME. Thank you so much. I so enjoy your blog and all the nutritious and delicious inspiration. I made this to prep for breakfast tomorrow for me and my pregnant wife (she is trying to eat healthy so I’ve been sharing your recipes) and I gave my first attempt at canning the excess jam since I made a double patch. It looks good so far! I’m thinking this will make a wonderful winter treat Christmas gift this year! For fellow readers that can: do you think I can can the oats layered with the jam??? Would this recipe work without the apple juice? I am not too sure – I think you could sub with applesauce though? or maybe even water + a bit of sweetener? I’ve been enjoying overnight oats all summer so I was super excited to see this “fall” version. I made it earlier this week and to say I enjoyed it would be an understatement – so yummy! I felt like I was having apple pie for breakfast. On day two I just ate the leftovers out of the jar with a spoon – it was like deluxe apple sauce. Thank-you and LOVE your blog! This recipe looks wonderful! 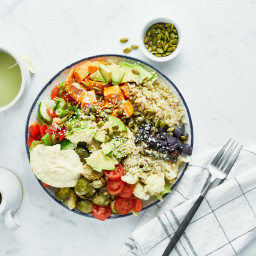 Would this work to just “pulse” in a blender or does it have to be cooked in order for the flavors to blend? Do you think that you could use apple cider instead of the juice? Hey Jessica, I buy Bob’s red mill – I believe they are certified Gluten-free. Also, I think there is a labeling law in Canada that prohibits companies from putting GF on oats – so they can only put wheat free even if it’s GF sometimes. I’m not sure if that rule still exists though, but it’s worth contacting the company to find out! This does look delish! Do you eat it cold? Or warm it up? Ok.. 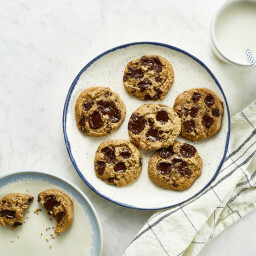 I want to make these in smaller, individual servings (like the mini jars) for a gathering.. will these keep overnight or should I make the apple part and the oats and then assemble right before leave for the event? I’ve been drooling over this recipe since you posted it, and I’m literally make it as I type this comment! I’m nearing the end of a three-day juice cleanse, and am breaking my juicing fast with this amazing parfait at the crack of dawn tomorrow! Your recipes are always so inspirational and delicious. Thank you! I just made this apple jam tonight, but I used my microwave (college life–no oven). It still turned out well, though! I just quadrupled the apple part of the recipe so as to use up some apples. It is a very yummy, chunky apple sauce. We are having to freeze some so I hope that works out!. Delicious! Thanks for sharing! I enjoyed his for breakfast and as a snack. I love your recipes and your blog so much! Just finished prepping my ingredients for breakfast! All your recipes are amazing,tasty,and creative! Keep being amazing Angela! Just tried this today and have now recommended it on my webpage as well as sharing on a Hannaford nutrition chat! I’m making a kumquat version of this apple jam right now! This is amazing with pears and ginger. I’ve made a double batch every week for the last 2 months. We can’t get enough of it. Thank You! Anyway I was wondering if you could substitute flax seeds for chia seed in this recipe. I am not familiar really with using either to cook but I do have flax seeds at home. Keep up the amazing blog! You have a new avid follower. I was just about to leave a comment about substituting chia seeds with flax seeds… in my town i couldn’t find chia seeds. I was dying to try this healthier jam-like recipe so I tried with flax. And it works though I put more than 2 tbsp. Before using, I grounded the flax seeds. I put about 2 tbsp at the start and it didn’t seem to work much. So I waited till apple have the right consistency and then added about 3 to 4 spoons. And after some time I think it is about the same consistency as the pictures. So my advice with apple is maybe to put only at the end and just try for how much you need. Btw I did the same for the blueberry jam and it worked great. Just wondering if you have any idea how many calories are in a serving? Thanks so much! It looks delicious! what could you use instead of apple juice? would a mixture of water and honey or maple syrup work? I’m definitely going to try this. I wonder if using milled chia seeds would work in apple jam- just for a more traditional finished look. Has anyone tried that? Do you ever use ground chia seeds for jam? The whole-seediness thing is putting me off a bit. I love this jam recipe! It’s fantastic on top of Chocolate Covered Katie’s Oatmeal Pancakes and on top of cinnamon raisin toast. I was just wondering… can quick cooking oats be used in place of the rolled oats?? by now I must have made this exact breakfast a dozen times and I loved every single bite of it. This was the breakfast I treated myself with before each of my four final exams and they all went well – I’m thinking it must be this parfait! Thank you SO much for sharing this extraordinary recipe, it was a gamechanger in my vegan journey! Can you preserve this? I’d like to seal it in a jar, do you know if it would keep? I did, and it works wonderfully!!! My husband and I love this chia seed jam and make it often for our overnight oats. I often leave the skin on because its healthy (meaning I can’t be bothered to peel the apples) and it works out fine. You need to make this. Right away. Go on! I honestly can’t deal with how delicious this is. Breakfast, snack, dessert. I just made this for my 2 yr old. I pulse blended the apple mixture and heated the overnight oats in the microwave to soften a couple of minutes. I then stirred everything together, added almond butter for protein, and he said it was “yummy!” It was. I made a double recipe (4 servings or more for an adult) and portioned it all out and froze for easy breakfasts for my son. It’s a winner, for sure! Yummay! I also want to add that I ground the chia (I used Salba) seeds first in the coffee grinder. I like the texture better this way for chia seeds in parfaits, puddings and cereals. I love this recipe! Was introduced to your website by a friend and I am so grateful! Can’t wait to try more delicious recipes! Wow! Thanks! I made a huge batch of this, added some dried currants, and canned a whole bunch, on top of using it fresh for the parfaits. My guy loves it on his “ice cream”. I also made the oat mixture with coconut milk for a twist, and it was amazing as well. Gotta LOVE chia seeds! Thanks again! You made using up a bunch of apples delicious and fun! This turned out great! It was super easy and super quick to make. Leaving it in the refrigerator for 24 hours worked perfectly! Looks yummy and totally caught my eye! I love the health benefits of chia seeds! Needs a different name though. It’s not sugar free. 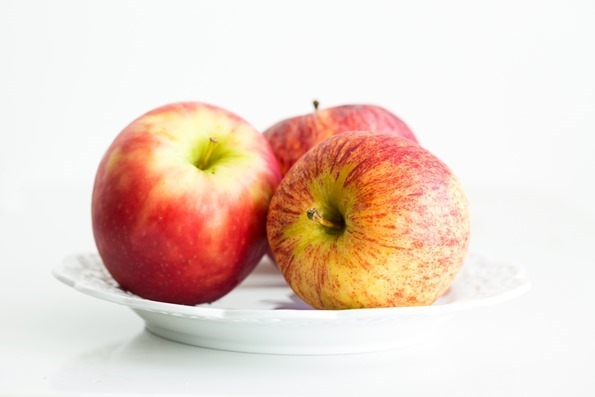 Apples and apple juice both have sugar, and when you cook apples you release more sugar. are the chia seeds hard and stick in your teeth like raspberry seeds, i sure hope not. This makes it a nice alternative to my daily oat bran breakfast. It’s gonna be fun to try something refreshingly different. Can the apple juice be omitted? Or just replaced with water? Hey Lesley, Yes, I think you could definitely swap it with water. You may need to add a touch more sweetener to make up for the reduced sugar though. I hope you enjoy it!